This was the biggest of the boats we saw fighting. 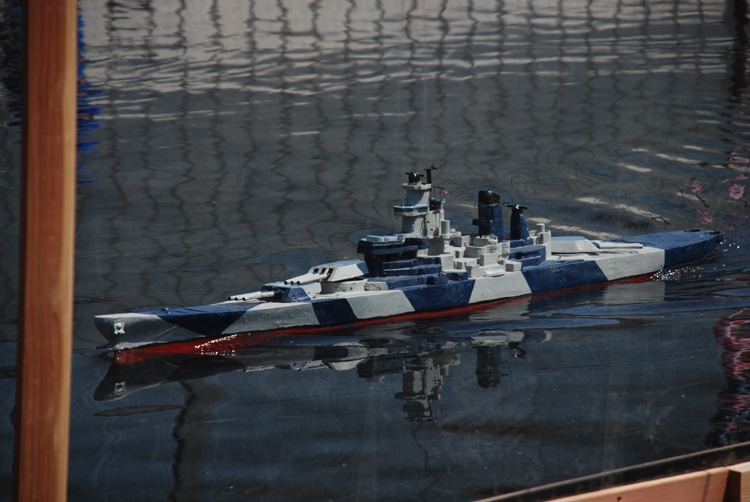 It has three gun turrets that rotate and can aim high or low. The boats can move pretty fast in the water and this one was pretty manouverable too.